Distrust That Particular Flavor: Encounters with a future that's already here by William Gibson brings together for the first time his writings on a wide variety of contemporary subjects: the differing cultures of Japan and Singapore; music and the movies; what's wrong with the internet; the interactive relationship between writers and readers; and many others. 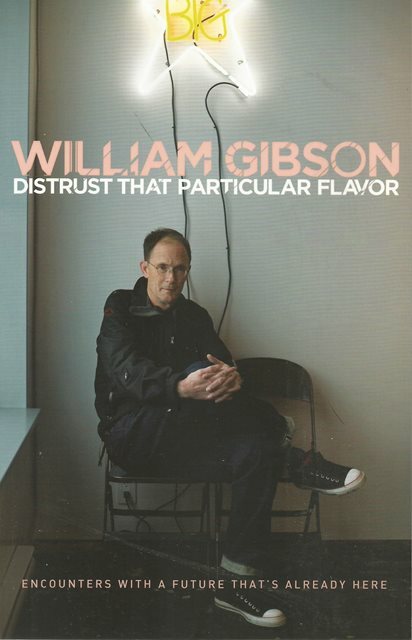 Though primarily known as a novelist, over thirty years William Gibson has also built up a reputation as one of our most entertaining and insightful critics of contemporary culture. 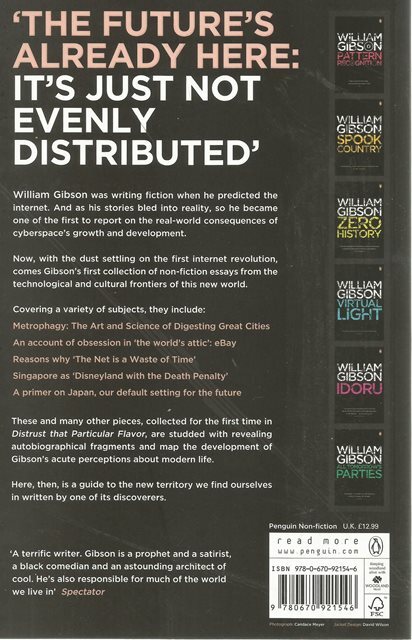 He is widely credited with having described the internet and cyberspace before any such things existed. Also included in the book is a fascinating autobiographical sketch: his upbringing in the South, the early death of his parents and his escape into books; and the move to Canada to avoid the draft.